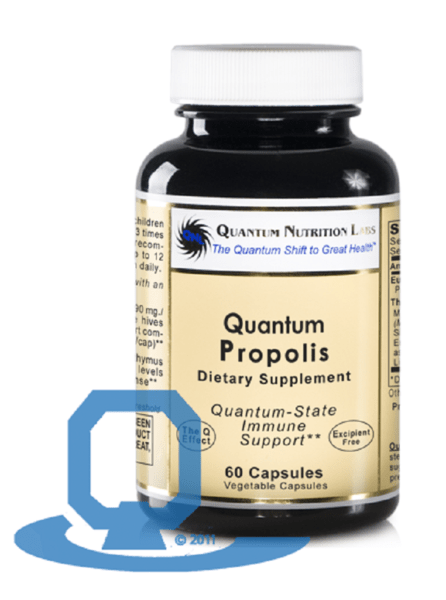 Quantum Propolis features four-polarity propolis (290 mg/cap), a natural resin from bee hives that contains a diverse bioflavonoid spectrum including naturally occurring chrysin (4 mg/cap) that naturally supports healthy immune response. Take 1 capsule, 3 times daily. Not recommended for people with an allergy to tree resin. 60 caps (Propo-Plus each 290 mg, Thymase Support Blend each 210 mg).